I’ve said it before, and I’ll say it again – it’s good to be a vegan in 2017. You know why? Because in 2017 you can actually find (or make) good vegan cheese substitutes! We are in a vegan cheese renaissance! I do not find Daiya cheese to be great. With the Miyoko brand changing the vegan cheese game, Daiya is really going to have to revisit how they make vegan cheese if they want to compete. 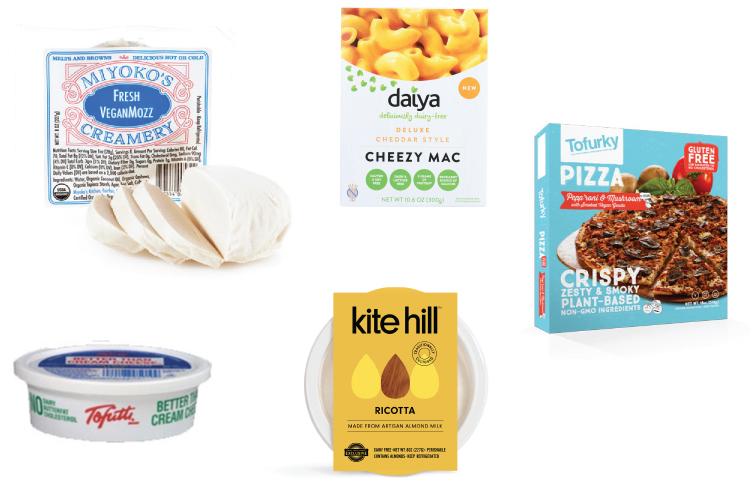 Having said that, Daiya is cheaper than Miyoko and I don’t think there is another boxed vegan Mac & Cheese that can compete with Daiya (that’s why it’s one of the only Daiya product on this list). But Daiya and Miyoko aren’t the only vegan cheeses in town. Check out all your options below. From store-bought to homemade, there are delicious vegan cheese substitutes. Missing cheese is one of the main reasons people give for avoiding switching to a vegan diet. No more excuses! Oh, Miyoko. These cheeses are soooo good. Whenever they are on sale in my town, my vegan network activates and spreads the word like wildfire. We just love them. Miyoko makes spreadable hard cheeses as well as soft cheeses. They even have a cultured vegan butter. Yes, Miyoko is a bit pricey. But, if you are having friends over, splurge and show them how wonderful vegan cheese is. Kite Hill is growing in popularity in the vegan cheese market. It seems like they have a new product every time I check them out in the grocery store. Their cheese are interesting because they make them with almond milk instead of the ever popular cashew. They even make vegan cheese ravioli. Just mentioning the name “Tofutti” will make any long-term vegan light up. We have all eaten Tofutti for years. They make a vegan cream cheese that is so popular even NYC bagel shops stock it sometimes. 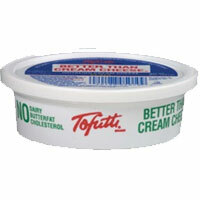 For some reason, Tofutti still makes this cream cheese in a hydrogenated form but they also have a non-hydrogenated version, fyi. I love bagels and it makes me super happy that I can have cream cheese on my bagels like all of the “normal” people. 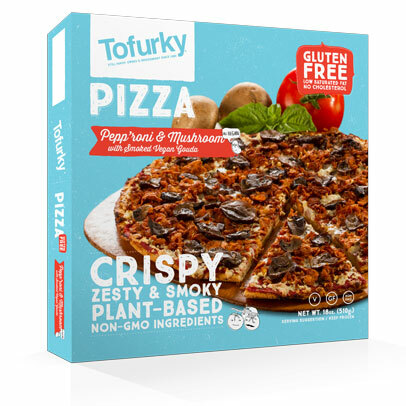 Tofurky is known for their vegan meat substitutes but they also make a tasty vegan frozen pizza. Frozen pizza isn’t astounding whether it’s vegan or not but don’t hate on it. When you’re vegan, you can’t go to your local house of pizza, necessarily, and it can be nice to turn to your freezer for a quick meal. Some vegan frozen pizzas use Diaya’s cheese shreds but Tofurky uses their own vegan cheese concoctions as toppings. Plus, if you get one of their “meat” pizzas, you get to benefit from their many years of practice making vegan meats. I hold Amy’s close to my vegan heart. They make delicious vegan soups, frozen meals and… cheesy frozen pizzas. They’re really looking out for us. Thanks, Amy’s. Yes, Amy’s frozen pizza is made with Daiya cheese. 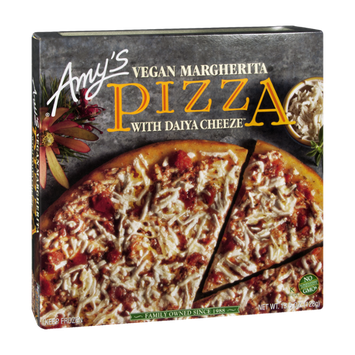 Even though it’s not my favorite, Amy’s pizza is a decent vegan option and deserves to be noted in case you’re not up for making your own vegan pizza tonight. Boxed mac & cheese is such a nostalgic thing, isn’t it? Kraft is off the table for us vegans but Daiya came through with this vegan option. They make it in chedder, alfredo and veggie so try out all of the “flavors”. Nutritional yeast can be used to make sauces but you can use it in its flake form to put on pastas, popcorn and salad as if it were parmesan cheese. Give it a try and then, if you don’t like it, give it another try. It might take some getting used to. This is not to say it isn’t delicious, it just might be considered an “acquired taste”. I put it on my popcorn whenever it’s around. You don’t have to spend money on good vegan cheese substitutes. Roll up your sleeves, and try to make some substitutes in your own kitchen. It’s, honestly, a breeze! 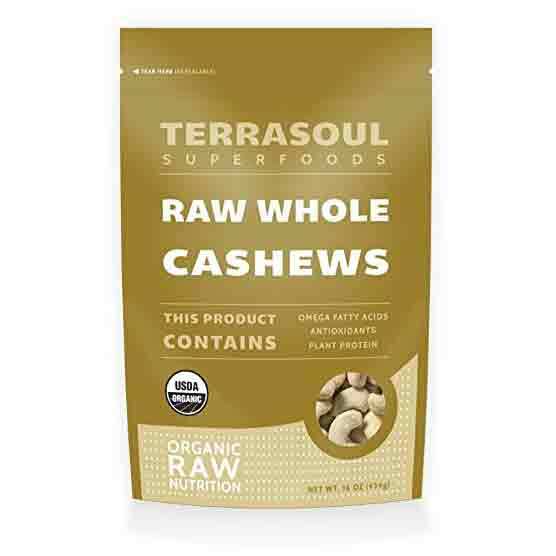 Raw cashews are amazing things. Soak them to get them soft or puree them in a super powerful blender (like a Vitamix), blend them with some liquid, spices, salt, maybe a bit of nutritional yeast and… you have a cream sauce. You can use a cashew cream sauce in pastas, as a sour cream substitute (add a bit of apple cider vinegar and/or lemon juice for that tart flavor), or to top your attempt at homemade vegan pizza. I find these sauces to be super forgiving – you don’t have to be particular with ingredients. I like to use veggie broth as the liquid, garlic powder for flavor, maybe some oregano for an Italian meal and I just mix it up and play with consistency. Use raw cashews and, if you want to start with a recipe, here’s one from The Kitchn. Nutritional yeast works for me as a stand-in for parmesan in most cases, but I like mixing it with blended nuts and spices to up the ante a bit. Just like cashew cheese, this is a very forgiving recipe. Add in spices you like and try out different nuts that you happen to have in your kitchen. Or follow this solid recipe (from Vegan Richa) to the letter – that’s cool too! Creamy Food – Avocado, Sweet Potato, etc. I get it, you’re rolling your eyes right now. One thing we like about cheese is that it can make great, creamy sauces. Alfredo comes to mind here. So, if you are simply craving creamy, you have great options with completely uncomplicated foods. Just blend up cooked sweet potato or avocado and mix with your favorite pasta for a super creamy meal. Add in cooked onions, salt, veggie broth and any spices you might like to make this even more flavorful. Did your eyes stop rolling? I can only imagine that the vegan cheese industry will just keep getting better. Sure, we don’t have to eat a form of cheese as part of our diet, but it’s tasty! And, a good vegan cheese is a great way to show people how easy (and delicious) eating vegan can be. Have I missed your favorite vegan cheese? Let me know and share your recommendations! Comment below or tag Plenty Vegan on Instagram!